LOCATION: O’Day Playground, South End Born in Bayamón, Puerto Rico, Zayra Pola started playing percussion and drums at a very young age and won a full-tuition scholarship to Berklee College of Music. 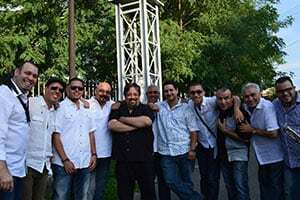 JULY 12: ORQUESTA EL MACABEO LOCATION: O’Day Playground, South End Known for their edgy take on traditional Latin music, this world-renowned Puerto Rican group brings punk rock to salsa! 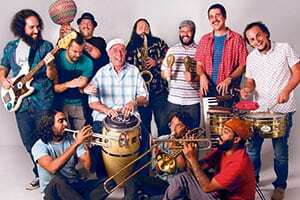 JULY 19: EGUIE CASTRILLO Y ORQUESTA MAR DEL NORTE LOCATION: O’Day Playground, South End Grammy Award Winner and percussionist Eguie Castrillo comes with his Salsa orchestra “Mar Del Norte” to pay tribute to the Salsa of the 70’s and 80’s. 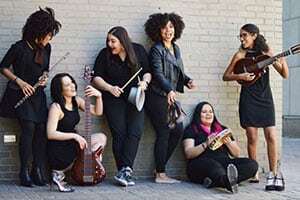 JULY 26: ALEA LOCATION: Mission Hill Playground These high energy performers recreate rich Latin culture with buttery vocals, deep-rooted grooves, holistic guitar conversations and riveting sax and clarinet performance. Experience an upbeat communion of Cumbia, Vallenato, Rancheras, Jazz, and Pop. 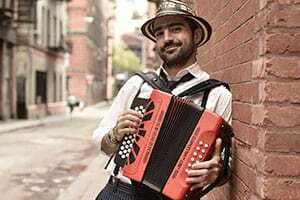 AUGUST 2: GREGORIO URIBE LOCATION: Mozart Park, Jamaica Plain Inspired by the rich musical rhythms of his native Colombia, Gregorio Uribe will be playing a festive blend of cumbia, vallenato and other Colombian styles, featuring original music by Uribe. 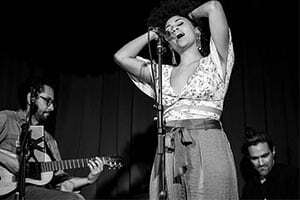 AUGUST 9: LIZJE IN BLUE LOCATION: LoPresti Park, East Boston Born in Los Angeles, California this powerful Colombian performer is a versatile composer, arranger, and solo artist of soulful latin music.